Not just what's happening in your business, but where it's happening. With the rise of an increasingly complex and big-data-driven economy, business intelligence technology has become a necessary tool to help corporations navigate through massive amounts of information. 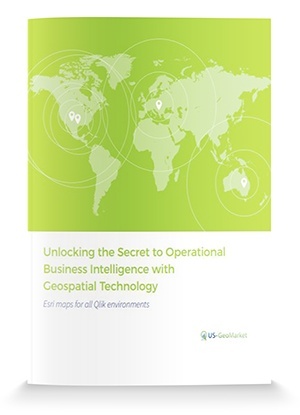 A next-generation BI tool unlocks the secret to operational business intelligence by uniting once siloed location intelligence with business intelligence via geospatial technology and interactive maps. Learn key benefits of knowing not just what’s happening in your business but also where it’s happening, and how this knowledge can take your organization to a new level.